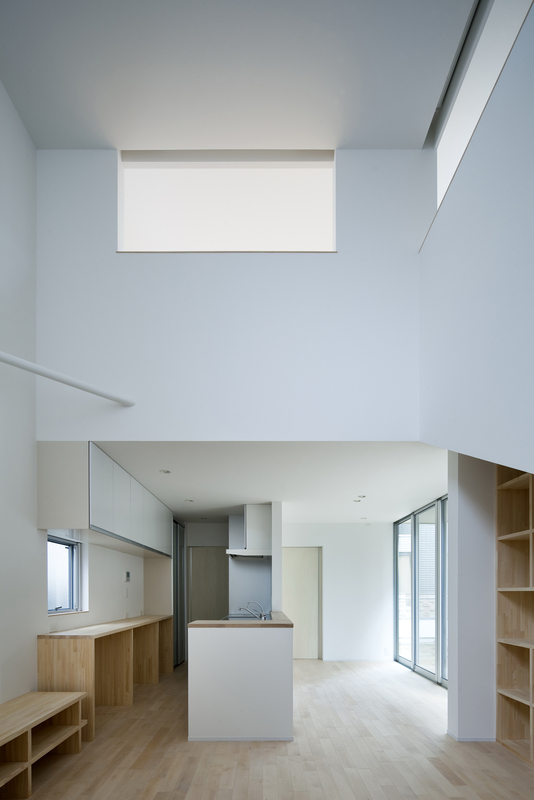 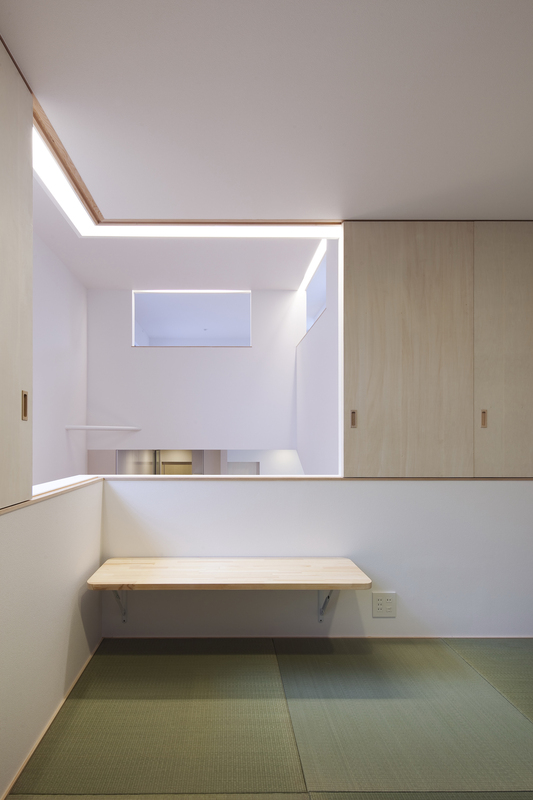 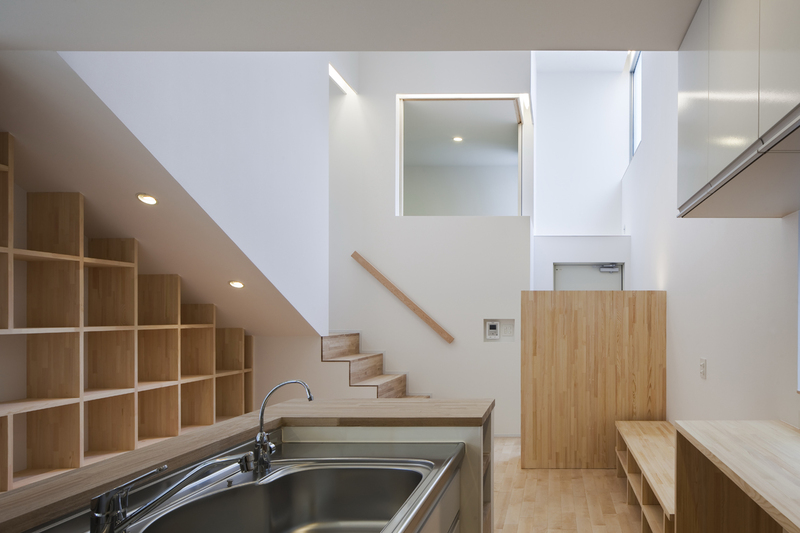 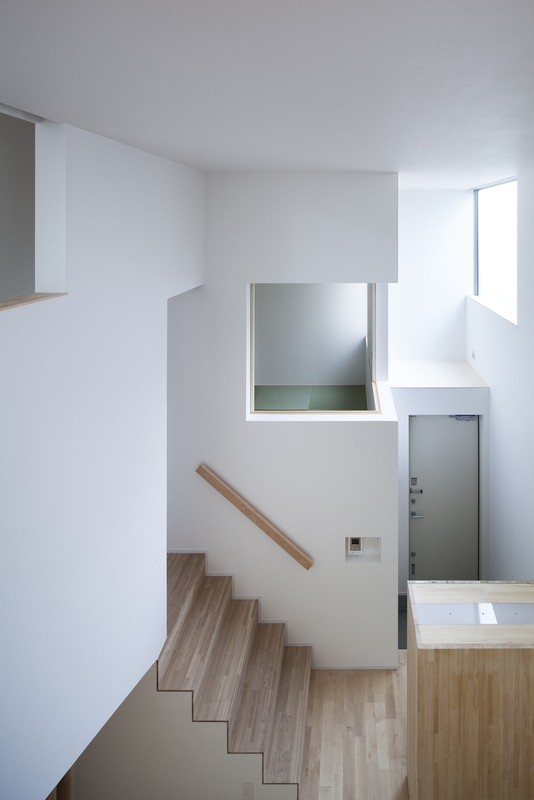 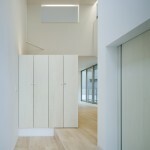 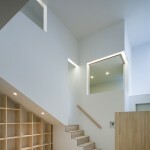 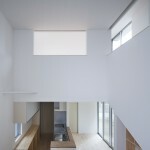 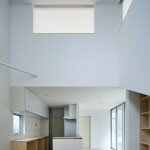 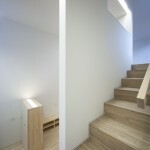 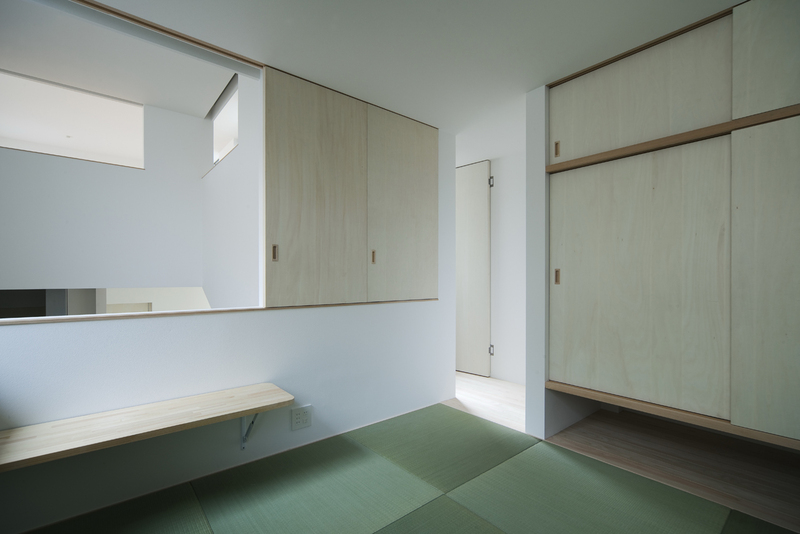 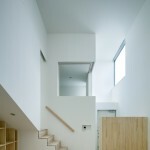 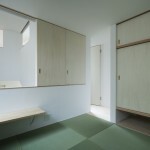 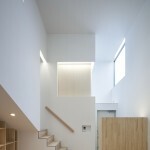 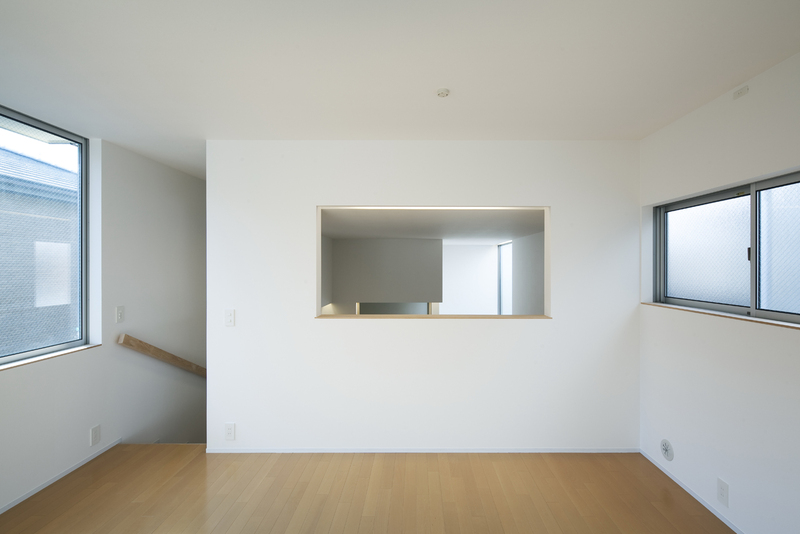 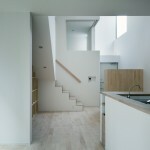 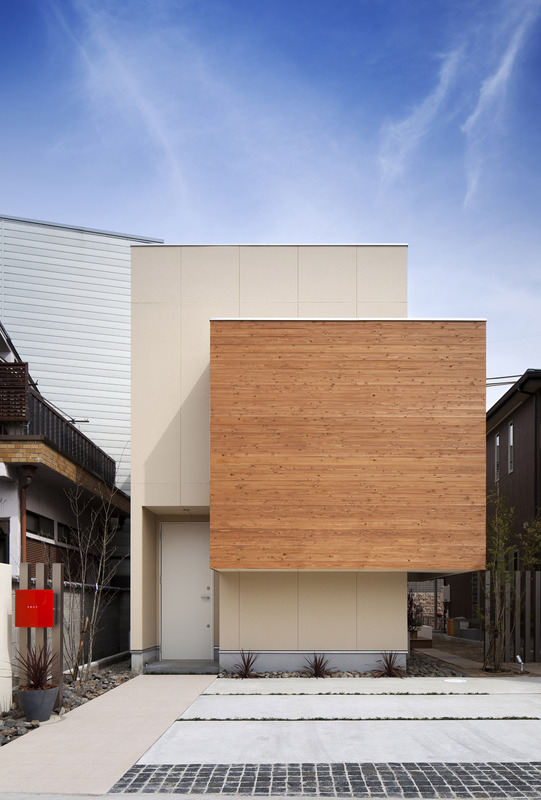 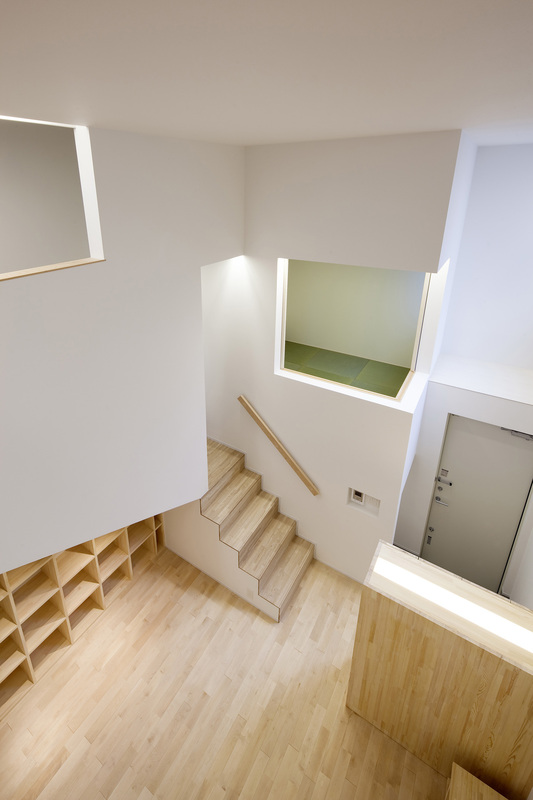 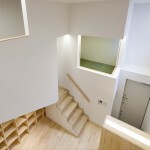 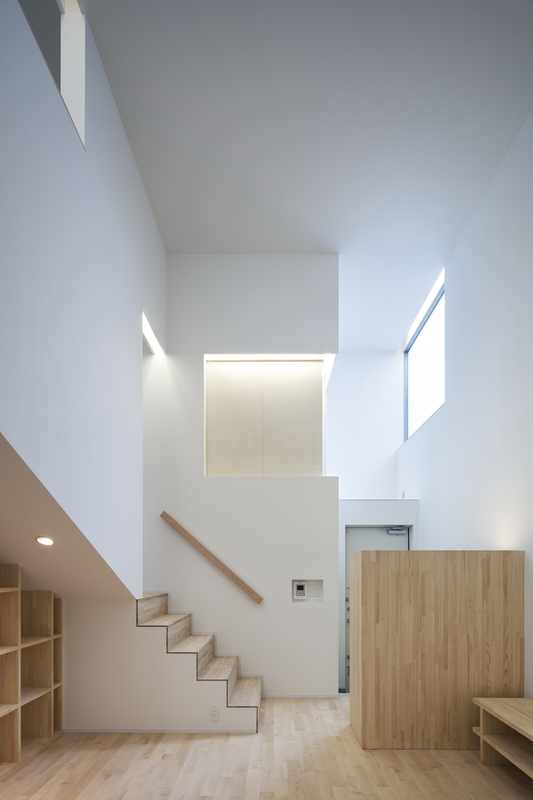 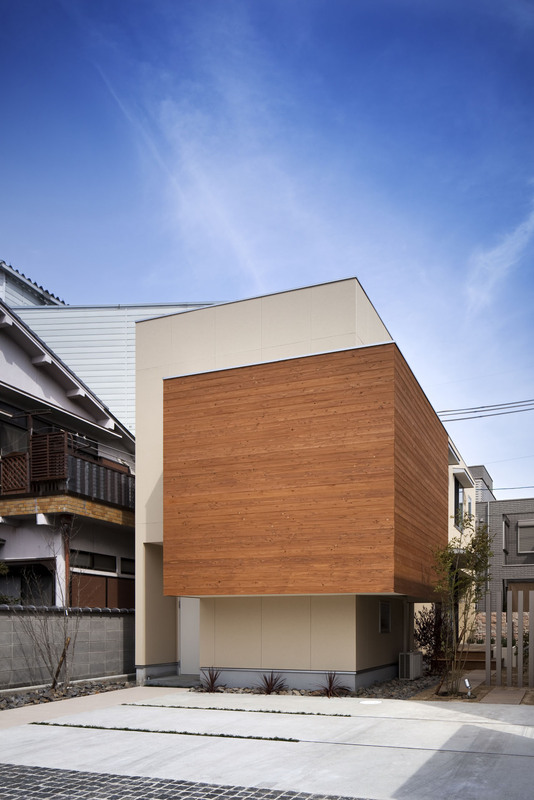 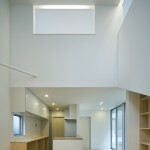 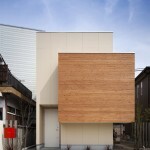 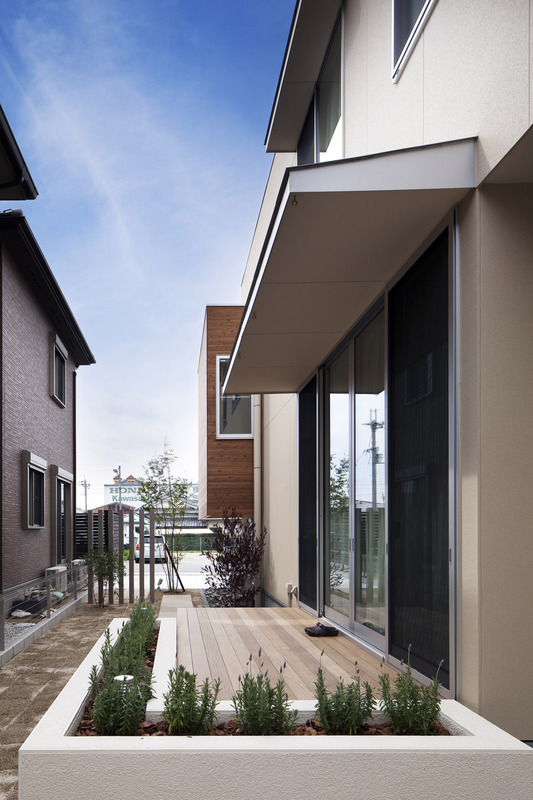 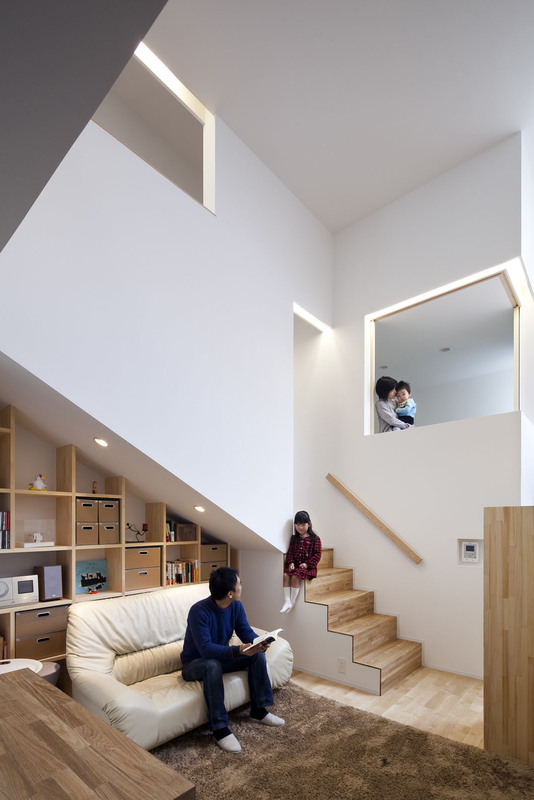 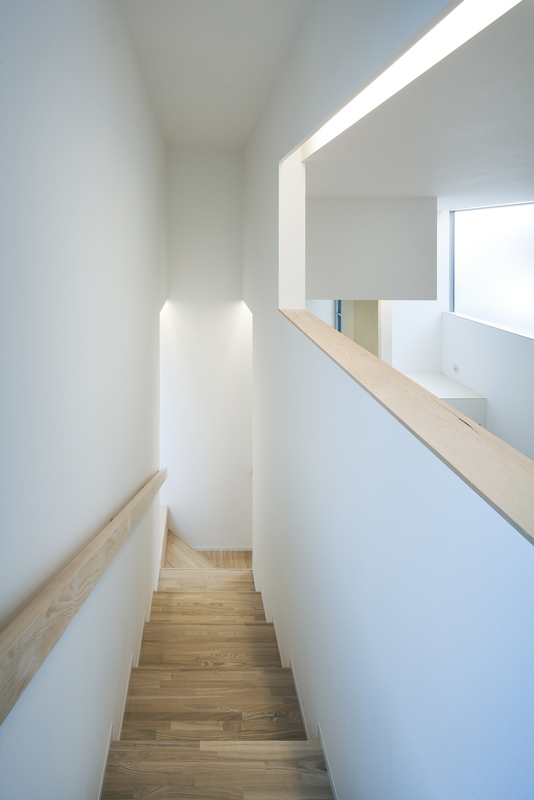 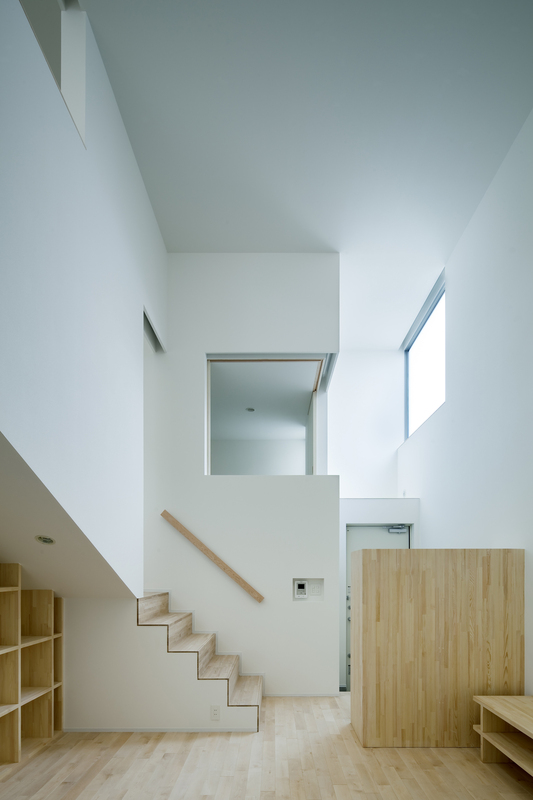 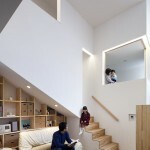 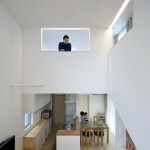 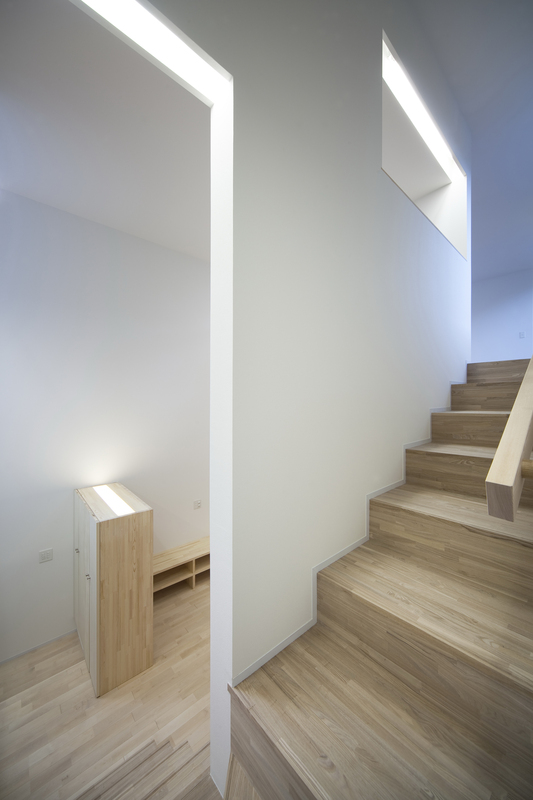 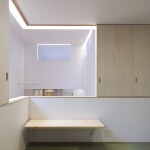 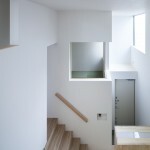 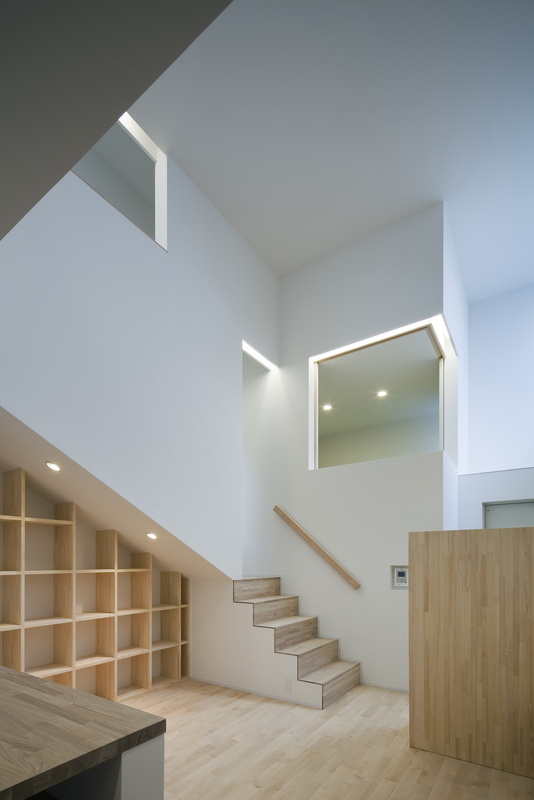 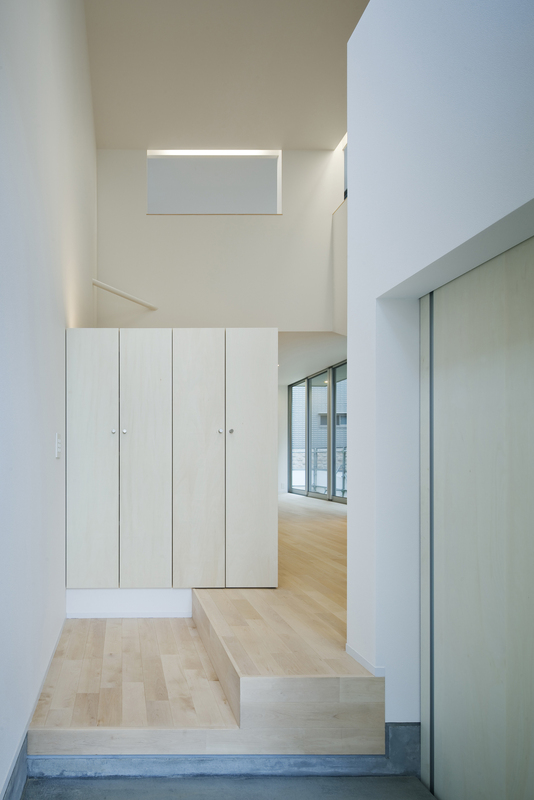 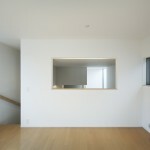 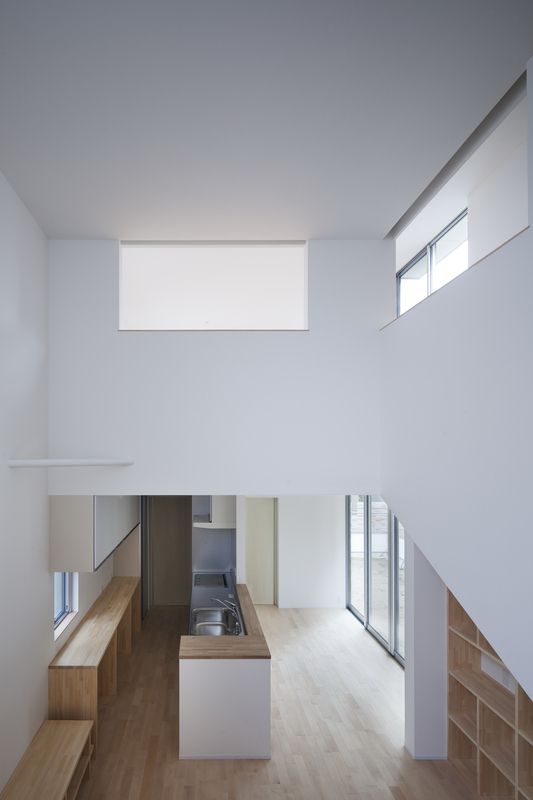 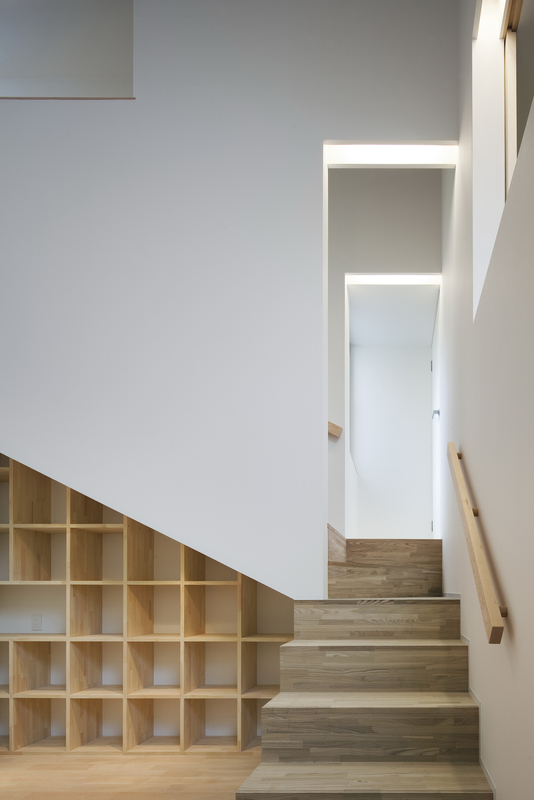 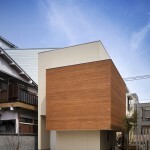 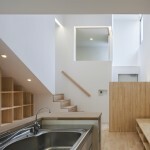 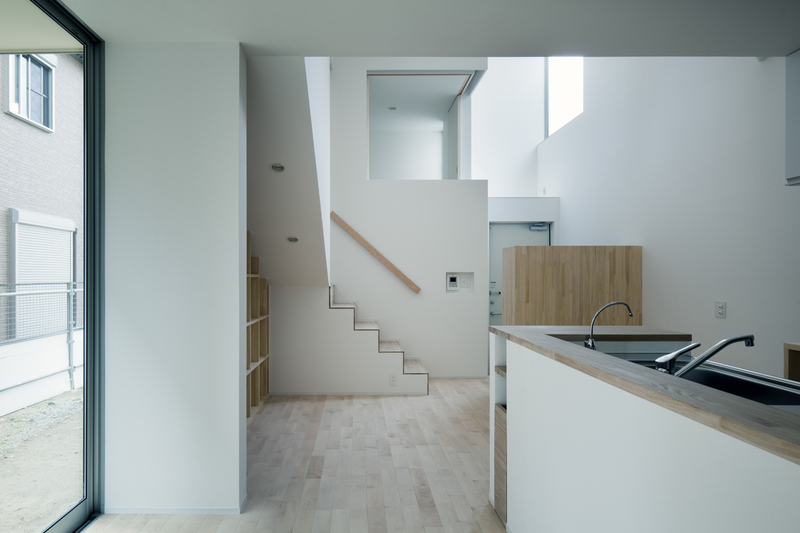 This home for a family with young children centers around a Japanese-style mezzanine with tatami flooring. 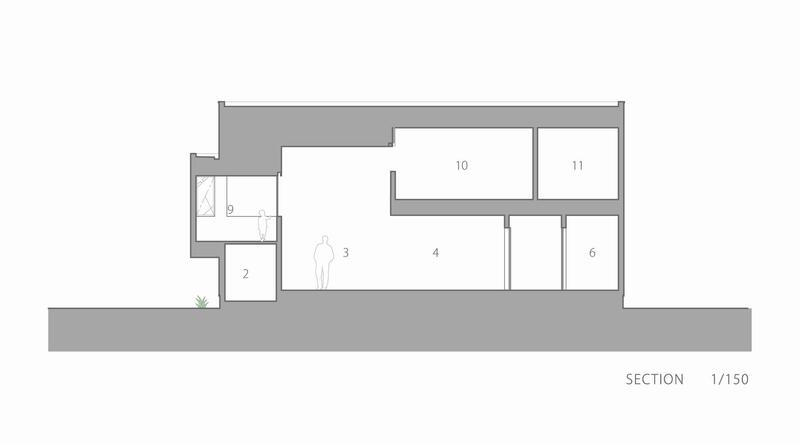 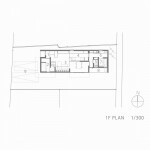 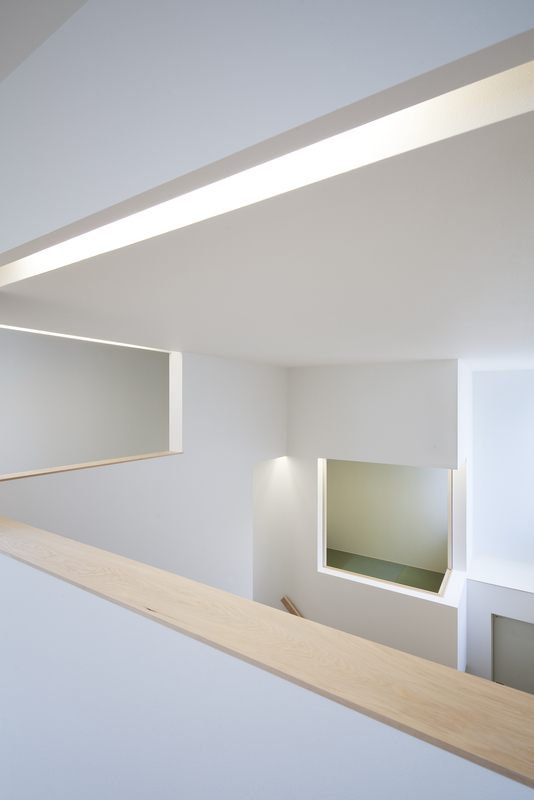 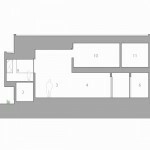 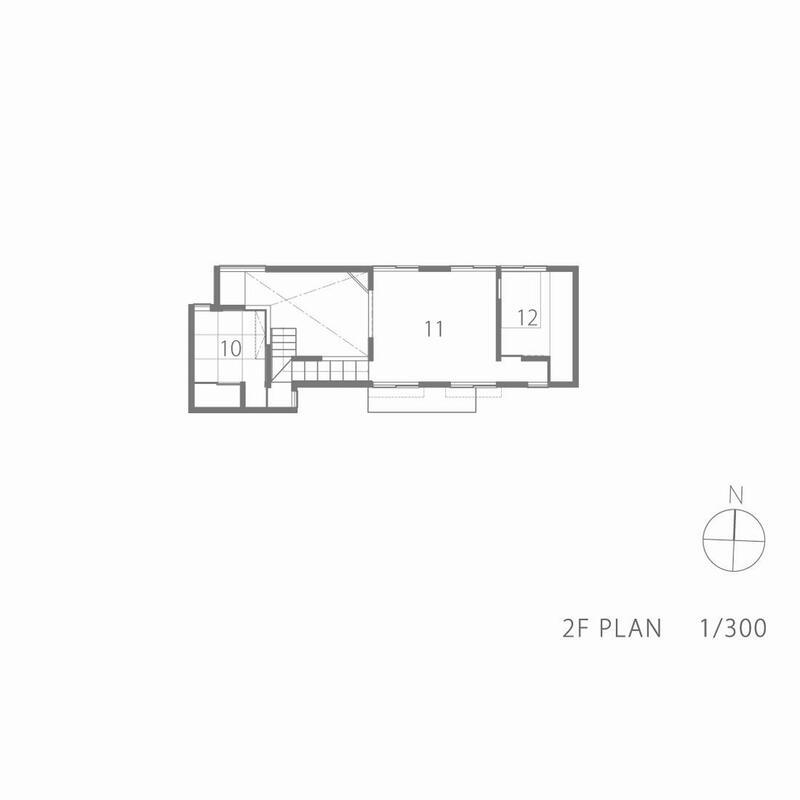 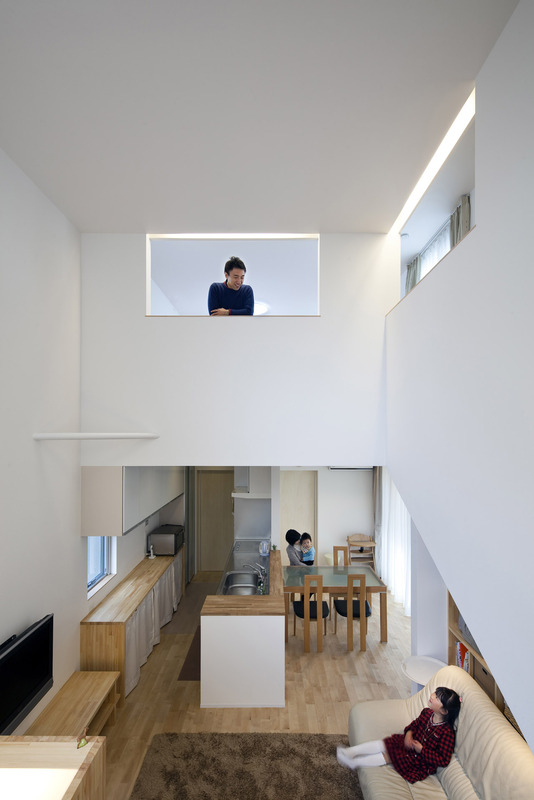 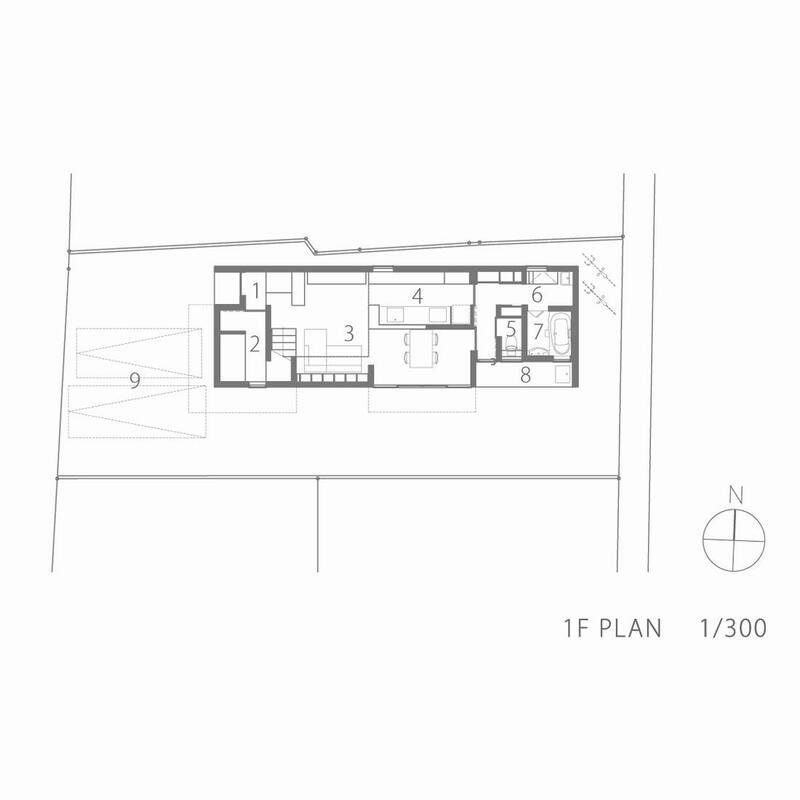 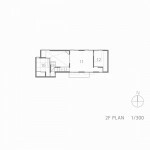 Extending out into the first floor living/dining/kitchen area, and with a view of both that room and the second floor children’s rooms, the mezzanine serves to link the various spaces within the home. 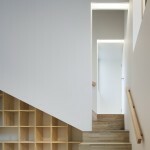 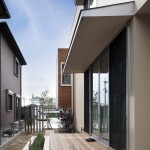 It also accents the building’s exterior, pushing out beyond the rest of the facade. 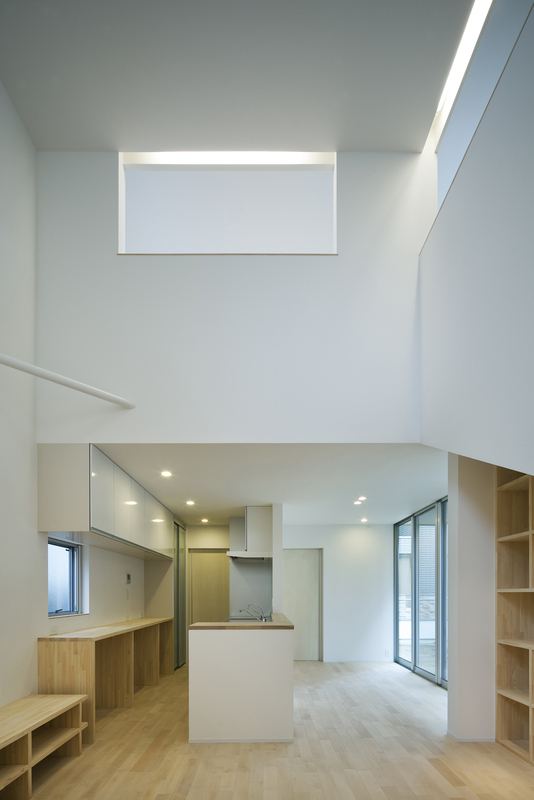 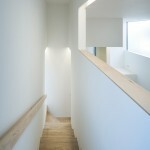 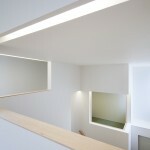 From the central mezzanine to the linked children’s rooms and the living/dining/kitchen area with its vertical void, this home offers a diversity of living spaces that come together to provide a fun and stimulating environment for the residents.